Tottenham are reportedly considering a £35m bid for West Ham United youngster Declan Rice, who has also been paired with interest from Liverpool. The 20-year-old has impressed for the Hammers so far this season, featuring 26 times for Manuel Pellegrini’s side as he has established himself as a key figure in the line-up. However, he is being tipped to be the subject of a big-money offer from Tottenham this summer, with The Express reporting that they could launch a £35m bid for him. It’s also specifically noted in that report that Rice has been on Liverpool’s radar, while Spurs have now potentially entered the race amid ongoing question marks hanging over Christian Eriksen’s future at the club. Should the Danish international move on, there would undoubtedly be a major void to fill for Spurs in midfield, and although they are different players in terms of position and characteristics, the report above would suggest that Rice would be a top target. It remains to be seen whether or not they can prise him away from a London rival in West Ham though, while time will tell if Liverpool step up their interest and where Rice would prefer to go if he’s even open to an exit. 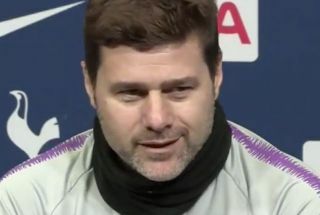 Given Mauricio Pochettino’s track record of working with young players at Tottenham and developing them with the likes of Harry Kane and Dele Alli in mind, that could be a major factor. In contrast, with Liverpool pushing on for trophies, that could be more important and Klopp hasn’t done too badly himself in terms of bringing young players through. In turn, it promises to be an intriguing pursuit if Tottenham are indeed set to launch the touted bid, with Rice only recently signing a contract extension with West Ham. Nevertheless, losing Eriksen would be a massive blow given he’s continued to be a pivotal figure this season with six goals and 10 assists in 31 outings. Spurs will surely be prioritising avoiding a scenario in which he leaves north London.